We ship via FedEx and DHL to customers in the United States, US Territories, Canada, and other countries. Shipping and handling charges will be calculated and included on your invoice as well as on the billing portion of the On-line Shopping Cart when ordering thru our online store. We reserve the right to select which carrier we deem appropriate. We will make every effort to assure that your order is shipped in a timely manner. However, some products offered that are normally in stock, may be temporarily out and on back order. Some orders may be shipped directly from the manufacturer to you. In any event, you will be advised by email or telephone as when to expect shipment. If this is of concern, please call regarding current availability. Visa, MasterCard, and American Express are the only payment methods currently available via the On-line Shopping Cart. Timesoft accepts payments in advance by cashier's check, money order, or by company check. Payments made in advance by company check may be held for up to 10 (ten) days prior to shipping on amounts over $100.00. C.O.D. orders may also be arranged. Past customers who have established credit with us, or government entities may telephone us with their order. Rental plans, lease terms, and credit terms are not available thru On-Line Shopping. Call or email us for more information. California sales tax will be added for any taxable item shipped to a California address. The sales tax will be automatically computed and added on the billing portion of the On-line Shopping cart. Businesses wanting to purchase items for resale purpose must hold a valid reseller permit, provide a declaration stating that they hold one, and then apply to become a Timesoft reseller. Once approved, resellers may order our products by telephone. Timesoft provides a standard warranty for Timesoft eClocks, Acroprint TimeQ Plus, and Recognition Systems HandPunch series time recorders to be free from material defects for a period of 1 (one) year from the date of customer’s shipment date. All other equipment, attachments, accessories, parts, or supplies are covered for a period of 90 (ninety) days from shipping date to customer. Timesoft will replace or repair (at its discretion) the covered item, which failed under normal working conditions. 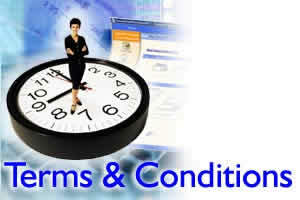 Parts or items replaced will become the sole property of TIMESOFT. No other warranties are expressed or implied, including, but not limited to, any implied warranties of merchantability or fitness for a particular purpose. Timesoft shall not be held responsible for any consequential damages or losses arising from the use of the product. Covered item must be returned to TIMESOFT insured and freight prepaid for repair or replacement. If you feel that our standard warranty does not offer enough coverage, please consider our Smart Maintenance plans. Timesoft is now offering Smart Maintenance benefits for its entire line of time and attendance software and time clocks. This new program gives customers added benefits for increased peace of mind as well as discounts and bonus accessories. Some new or used equipment may be offered with a longer or shorter warranty period on an item-by-item basis. In such cases, the offered warranty period will take precedence over the period herein stated. Before a product can be returned to Timesoft, you must call Timesoft technical support at (562) 989-0303. Once Timesoft receives the covered item, the product is normally fixed, or a new product is sent out usually within 3 business days. Warranty applies only to those items purchased by the customer. An RMA number needs to be obtained prior to returning any item. TIMESOFT warrants the following new Timesoft Attendance, Timesoft Premier™, Timesoft iSeries™, and TimeQ Plus PC Interface software MEDIA to be free of defect for a period of 90 (ninety) days from date of shipping. Media found to be defective, must be returned and replacement media shall be provided at no additional charge except freight to customer. Prior to returning, an RMA number needs to be obtained. Timesoft makes absolutely no warranties on its software. Timesoft shall not be responsible for, and shall not pay, any amount of incidental, consequential or other indirect damages, whether based on lost revenue or otherwise, regardless of whether Developer was advised of the possibility of such losses in advance. No other warranties are expressed or implied, including, but not limited to, any implied warranties of merchantability or fitness for a particular purpose. In no event shall Developer’s liability hereunder exceed the amount of license fees paid by Licensee, regardless of whether Licensee’s claim is based on contract, tort, strict liability, product liability or otherwise. Lost software licenses "system keys" are not replaceable without incurring full charge replacement of the program for Main System Keys and full charge replacement for Workstation Keys. Software updates available may be at additional charge or provided to the customer free of charge at the sole discretion of TIMESOFT. TIMESOFT offers both remote and onsite support regarding the installation, application, programming, and use of Timesoft Express, Timesoft Attendance, Timesoft Premier™, Timesoft iSeries™, and the Acroprint TimeQ Plus software and hardware purchased from TIMESOFT to the original purchaser free of charge for a period of 30 days starting from the customer’s shipment date. Annual Software Support Agreements offering a flat annual fee for remote support services and per incident support are available. Labor services such as consulting and custom programming are charged on a per-hour basis at the currently charged hourly rate of $150.00 per hour with a 15 minute minimum. Within 30 (thirty) days of shipping date, unused/undamaged products may be returned in their original shipping cartons. Items must be shipped back within 5 (five) days of receipt of an RMA number and are subject to a 15% restocking charge. Higher restocking charges may apply for used products, depending on the item’s individual condition. Discounts offered thru package pricing, or other discounts offered, shall be considered when credit is computed for returned items purchased as part of said package or discount. Special items such as software upgrades, custom printing, programming, used badges, labor performed, and freight charges are non-refundable. Timesoft Express, Timesoft Attendance, and Timesoft Premier software returned without the license (“system key”), are non-refundable. ALL Timesoft iSeries™ software sales are non-refundable. Due to the nature of Timesoft iSeries™ software, Timesoft’s policy is not to accept any software returns. Once a Timesoft iSeries™ license is issued it cannot be revoked. Timesoft goes to great lengths to ensure the satisfaction of the customer before a software product has been purchased. We even offer Timesoft iSeries™ complimentary evaluation CD's in addition to an evaluation kit that works for up to 60 days. All Timesoft iSeries™ software sales are therefore final. For goods damaged in-transit, a claim should be made immediately with the appropriate freight carrier.